From a very young age, children love to splash around in water. Whether it’s a bit of rainwater in a bucket, a bathtub full of soapy suds or swirling waves at the beach, they just can’t seem to get enough of the wet stuff. If you’re feeling a bit exasperated after changing your little one’s soaked clothes for the fourth time today, here’s some good news: water play helps young children develop a wide range of important skills. If your objective is simply to allow your child to become familiar with water, Dr. Anderson suggests starting as early as possible. “Newborns are far more familiar with a fluid-filled environment than the one into which they’re born, so warm water can be very comforting,” he says. While water can be great fun, it can also be very dangerous for young children. According to non-profit organization Safe Kids Worldwide, drowning is the leading cause of death among preventable injuries in children aged one to four. Never leave children unattended around water. 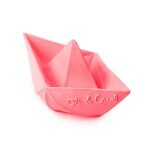 Watch them at all times and keep young children within arm’s reach of an adult. Empty all buckets, containers and children’s pools immediately after use. Put them away so they can’t collect water. Keep doors to bathrooms and laundry rooms closed. Close toilet lids and consider using toilet seat locks. Young children can drown in a very small amount of water. If you have a pool at home, install a fence that surrounds all sides of the pool and is at least four feet tall with self-closing and self-latching gates. Make sure your kids learn how to swim and basic water survival skills. Learn CPR and basic water rescue skills which could help you save a child’s life. 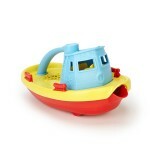 These fantastic water toys get the Tot tick of approval! From 8 weeks old, Otteroo can give your baby the freedom of movement in water so they can discover how their arms, legs and body can move to impact their immediate surroundings and direction. 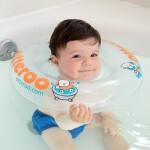 The buoyancy and physical freedom that Otteroo provides promote movement coordination, muscle strength and mobility. Read more about this best-selling product here. 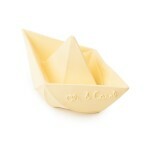 Embark on a cruise across the bathtub. 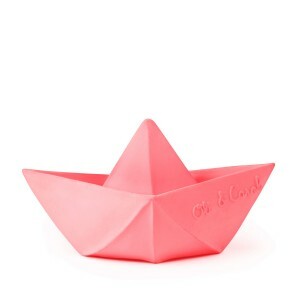 This colorful craft floats great, and has a wide spout to scoop and pour water. Made in the USA from 100% recycled plastic milk containers that save energy and reduce greenhouse gas emissions, our trusty Tugboat is both good for the earth, and – most importantly – safe for the busy little folks who play there. Suitable 6 months +. 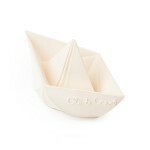 In addition to being beautifully crafted from sustainable and non-toxic rubber from Hevea trees, the Oli & Carol Origami Boat is made in one piece so water can’t get inside and cause mold to grow.